Caltech IT Limited (Caltech CRM) has launched a new CRM software solution specifically tailored – TenantView CRM for housing associations. The off the shelf modular package (TenantView CRM) provides a universal search on tenants, contracts, properties, contractors, repairs, enquiries and more. Residents are at its core. This makes a positive difference to residents lives knowing that their calls are being responded to quickly. 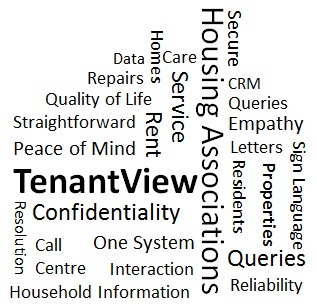 TenantView, CRM for housing associations, works using the Microsoft Dynamics CRM platform and is currently on version 2013. It is making a huge impact in the social housing sector by aligning the housing management systems and information such as repairs, cases and queries. Caltech is pleased to announce monthly webinars showcasing TenantView CRM. The webinars will seek to showcase the solution and demonstrate how it can make a difference in the social housing sector. Phil Callaghan will be pleased to listen to your requirements and there will be a question and answer session for you to find out more about how the solution can help you in your day to day work. Why not join us on the webinar to find out more how this solution can really revolutionise the way you are working! The first webinar is on 5th December at 10am. Book your place today, by emailing Catherine@caltech.co.uk who will be happy to send you the webinar details by return.